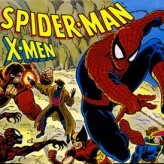 An impostor Spider-man is wrecking havoc and stealing some things! 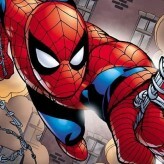 Play as the real Spider-Man and try to deal with the impostor and the police! Spider-Man (or Spider-Man 64) is an action adventure video game released back in the year 2000 for the Nintendo 64 gaming console and follows the hero Spider-Man. 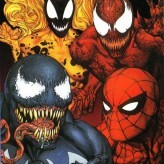 The game revolves around the havoc and mischief caused by an impostor Spider-man. In this game, you must bring the light the identity of the impostor and stay clear from the authority as you battle various villains along the way. 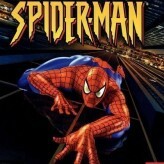 Spider-Man is an online N64 game that you can play at Emulator Online. This free Nintendo 64 game is the United States of America region version for the USA. 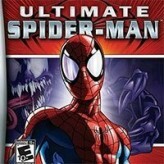 Spider-Man is a single title from the many fighting games, adventure games and spider-man games offered for this console. If you enjoyed playing this, then you can find similar games in the n64 games category. 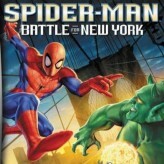 Spider-Man game is from the various retro games on the site, and there are more games like this, including Ultimate Spider-Man, Spider-Man: Shattered Dimensions and Spider-Man 3.